Constantly sought after and difficult to find, this centrally located villa is as compelling an investment as it is a brilliant downsizing opportunity. Privately set in an immaculately maintained complex bordered by a leafy nature reserve, it showcases open plan living spaces, a modern electric equipped kitchen, two well proportioned bedrooms, full bathroom, private yard and automatic single car garage. 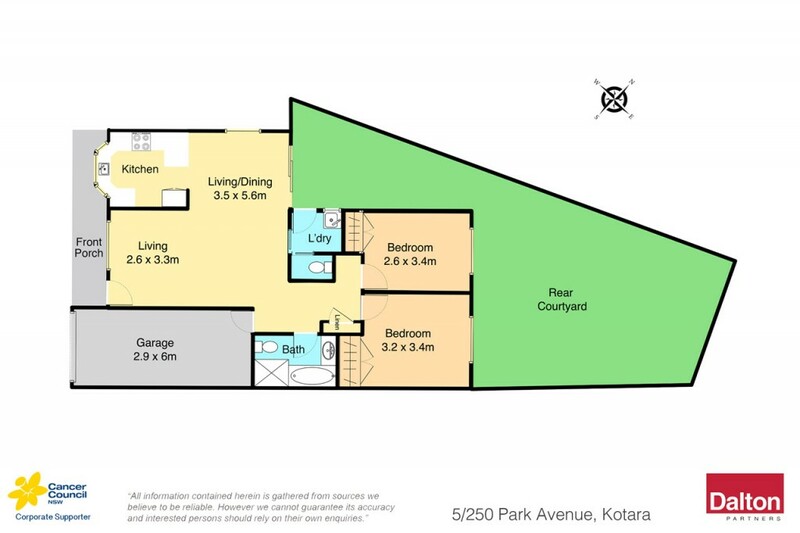 Superbly located, it enjoys public transport at its door with Westfield Kotara, cinemas, eateries and supermarkets moments away and is only a short drive to Newcastle's revitalised central business district. * Single level villa set in an uber convenient location. * Moments to transport and Westfield Kotara. * Open plan living area is air conditioned for seasonal comfort. * Private yard accessed via sliding doors from living area. * Two well proportioned bedrooms featuring built in robes. * Full family bathroom plus second wc in laundry. * Automatic single garage with convenient internal access. * Ideally suited to downsizers or savvy investors. * Rests in a lovely complex and is bordered by tranquil reserve.